Are you in need of a few tot-friendly "to dos" for your little one during the school day? Here are three easy tot-school ideas to encourage productive exploration and learning for your littlest of learners. Although my little Greased Lightning looooooves to paint, it isn't always convenient to drag out the paints and later clean up the mess. A quick alternative is water painting. By using a piece of colored construction paper and a bowl of water, he can enjoy the fun of painting and I can avoid the mess. Sock sorting is another fan favorite. I stockpile all the unmatched socks for a few weeks and then let Greased Lightning and older brother, Blonde Warrior, race to find as many matches as they can. Admittedly, not much "matching" actually takes place. Some of the more colorful or patterned socks find their mates, but large quantity of all-white eventually just become an indoor snow ball fight...which is fine by me, because it keeps little hands busy and encourages a brotherly bond. I taught preschool on and off for a few years and found that Fisher Price's Oreo Matchin' Middles game to be a perfect cognitive lesson for little ones. It can be played as a simple match up exercise by finding the white and dark "halves" that fit together. Or, for more advanced skill-building, it can also be used as a simplified version of the classic Memory game. I picked this one up at a garage sale when Sweetie Pea was little, but still find it on the shelves of most toy stores. Pre-school is so much fun! They are eager to learn. A couple years ago my daughter took every Friday and had her 3 nieces over every Friday for learning activities. She worked through the week finding activities after picking a theme. I've saved the pictures and videos. Enjoying your blog! You might want to correct the spelling of "Lightning" in referring to your son. I know it is spelled wrong according to the phrase "greased lightning", but it's an inside joke. I appreciate the ideas using items we all have in our home!!! 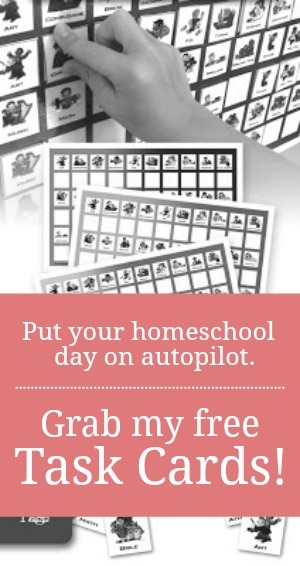 It makes life more simple for us homeschooling families that already spend a lot on curriculum for the older kids! I agree. It's nice to find activities that don't break the bank!